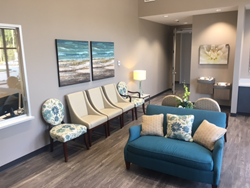 Next Level Urgent Care, LLC opens a new state of the art facility in Conroe, offering the same extended hours Monday through Sunday and the high quality care that its name has come to represent to communities throughout Houston. The new clinic, located at 1246 N FM 3083 West, Suite B, Conroe, Texas (on the lakeside of I45), is the 9th location for this physician-owned healthcare organization, since owner Juliet Breeze, MD began raising the bar and challenging convention with a new business model and the first Next Level Urgent Care facility in 2013. The opening of the new Conroe facility comes in advance of a new Pearland facility (8325 Broadway FM 518) scheduled to open December 20, 2017. Plans for an 11th location the first quarter of 2018 are currently underway. The company, which recently reopened its Champion Forest location following flood damage sustained from Hurricane Harvey, reaffirms its commitment to communities by continuing to pave new paths to quality healthcare. “The isolation that Hurricane Harvey forced upon so many communities throughout Houston just strengthened our resolve to facilitate access to care,” said Breeze. “We kept as many of our offices open as we could during that difficult time. Seeing how challenging it was for people to move around the city as a result of the storm, underscored the importance of our community-based urgent care centers connecting to need,” added Breeze. Just in time for cold and flu season, the new Next Level Urgent Care Conroe clinic officially opens its doors Monday, November 13 and will provide onsite x-ray equipment and a range of healthcare services for families - from wound care, skin disorders and ear, nose and throat conditions to gynecological and women’s health issues, pulmonary care and musculoskeletal injuries. The clinics, which are open every day from 9 a.m. to 9 p.m., also offer school sports physicals and occupational health services. Among the first Urgent Care accredited facilities in Houston, Next Level Urgent Care, employs providers procedurally trained to handle a broad range of acute urgent medical conditions that are not life-threatening. The company has been recognized as one of the best urgent care centers in Houston by Living Magazine People’s Choice Awards. The largest and fastest growing woman-owned Urgent Care organization in Houston, Next Level Urgent Care, LLC and its family of clinics are the vision of Juliet Breeze, MD, a primary care physician and entrepreneur with over 20 years of experience in healthcare. Among the first organizations in Texas to achieve Urgent Care Center Accreditation through the American Academy of Urgent Care Medicine (AAUCM) and one of the few physician-owned urgent care organizations in Houston, Next Level Urgent Care represents a new type of urgent care organization. The organization is focused on the customer experience with quality and consistency of care, delivered using proprietary systems, organizational designs and “next level” clinical and business processes. On-staff physicians are procedurally trained to handle acute urgent medical conditions and are part of an established referral network and collaborative effort to facilitate continuation of care and other specialized medical services. The clinics offer extended hours seven days a week and on holidays, at a fraction of the price of hospital emergency room or ER clinic visits.